“Next Generation” is a vague term used to describe security products that work on a different principle from traditional antivirus software. Currently these are available mainly for business networks rather than home users. They may work by monitoring incoming traffic on the network, as is the case for the Barracuda NextGen Firewall, or by installing client software which is managed and monitored centrally from a console, as is the case for the other products we have reviewed here. The latter type is intended to replace the antivirus software on client PCs, while the former could still be used in conjunction with traditional AV products. 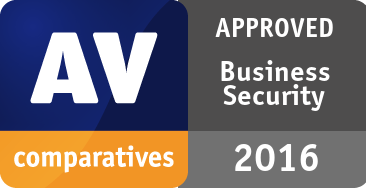 This report marks the first time AV-Comparatives has tested and included next-generation security products in a public comparative test report. We had reached out to many leading vendors in this space, requesting their participation in the test. Unfortunately, a number of vendors refused to participate in this independent evaluation. Since their products could not be included in this public report, we are unable to approve them as valuable next-generation security products. We look forward to their future participation in independent tests. One default-installation Windows 10 64-bit virtual machine (VirtualBox) endpoint was created. The default HTTP/HTTPS proxy was configured to point to a proxy running on a different machine. SSL/TLS traffic was not intercepted on the proxy. Vulnerable software was installed, see “Software Installed” for details. From this point, different snapshots were created from the virtual machine, several with different endpoint protection products and one with none. This procedure ensured that the base system was exactly the same in all test systems. The endpoint systems were installed with the default configuration, potentially unwanted software removal was enabled, and where the option was provided during the installation, cloud/community participation was enabled. The exploit sources can be divided into two categories: In-the-wild threats and Metasploit. VBscript based downloaders and Office macro documents were also in scope, as these threats are usually not included in other test scenarios. The virtual machine was reverted to a clean state and traffic was replayed by the proxy server. The replay meant that the browser was used as before, but instead of the original webservers, the proxy server answered the requests based on the recorded traffic. When the “replayed exploit” was able to infect the OS, the exploit traffic was marked as a source for the tests. This method guarantees that exactly the same traffic will be seen by the endpoint protection systems, even if the original exploit kit goes down during the tests. This exploit replay is NOT to be confused with tcpreplay type replay. After new exploit traffic was approved, the endpoint protection systems were tested. Before the exploit site was tested, it was verified that the endpoint protection had been updated to the latest version with the latest signatures and that every cloud connection was working. If there was a need to restart the system, it was restarted. In the proxy setup, unmatched requests were allowed to pass through and SSL/TLS was not decrypted to ensure AV connectivity. VPN was used during the test on the host machine. When user interaction was needed from the endpoint protection (e.g. site visit not recommended, etc. ), the block/deny action was chosen. When user interaction was needed from Windows, we chose the run/allow options. No other processes were running on the system, except the Process Monitor/Process Explorer from SysInternals and Wireshark (both installed to non-default directories). After navigating to the exploit site, the system was monitored to check for new processes, loaded DLLs or C&C traffic. The process went back to step 5. until all exploit site test cases were reached. The VirtualBox host and guest system for the exploit test has been hardened in a way that common virtualization and sandbox detection techniques cannot detect the system as an analysis system. RTTL: 500 most prevalent malicious samples according to the AMTSO Real-Time Threat List (RTTL) were executed on the system. AVC: 500 most recent and prevalent malicious samples from our own database were executed on the system. Some of the tested products function also as an incident response, where the system is compromised but a detection alert is reported in the web interface. The additional detection rate for the AVC score is noted in brackets. WPDT: 50 malicious websites were tested by using our Real-World Testing Framework, which simulates the activities of a typical computer user (whether at home or in the office) surfing the Internet. The test was run in parallel with “traditional” business antivirus products, enabling a comparison of the threat-protection capabilities of traditional and next-gen products. FPs: a false alarm test in which 1000 clean files have been executed on the system has also been performed. The false positive test measures the ability of products to distinguish clean from malicious files. Exploit Test: 21 exploits have been used in the Exploit test. Barracuda: Detect All Types set to Yes, URL Filter Enabled set to True. CrowdStrike: File Attribute Analysis and File Analysis set to Aggressive, and all available protection options enabled. Palo Alto: WildFire activation set to On, Action is prevention, Action is applied on grayware, Local analysis is enabled, Upload files for WildFire is enabled. SentinelOne: Show Suspicious Activities enabled, Auto Immune enabled, Actions set to Quarantine. Unfortunately, the time of the test and OS configuration was not in favor for the exploit test. At the time of the tests, two exploit kits dominated the Internet. Sundown and RIG. Unfortunately, RIG used old (mostly Flash) exploits, which was unable to exploit the test configuration at all. That is why it was important to test with Metasploit and with some not super-fresh, but not too-old exploit kits as well (Neutrino). We also used two samples, which are not an exploit itself, but rather non-PE downloader, like an Office macro and a WSF downloader. We added these into the mix because these exotic file types are often excluded from Real World tests, but meanwhile, prevalent in-the-wild. A total of 21 test cases have been tested. These exploit kits were targeting Adobe Flash, Internet Explorer, Microsoft Office (macro), Silverlight, Firefox, Java. Blocking the URL (infected URL, exploit kit URL, redirection URL, malware URL) by the URL database (local or cloud). For example, a typical result is the browser displaying a “site has been blocked” message by the endpoint protection. The sooner the threat is detected in the exploit chain, the easier it is to remove the malicious files from the system, the less information can be gathered from the system by the attackers, and the lower the risk of an attack targeting the particular security solution on an endpoint. Blocking the exploit before the shellcode is executed. Blocking the downloaded payload by analyzing the malware before it is started. For example, the malware payload download (either the clear-text binary or the encrypted/encoded binary) can be seen in the proxy traffic, but no malware process starts. The malware execution is blocked (no process create, load library). There is a successful start by the dropped malware. There is a successful start by the dropped malware, but after some time, all dropped malware is terminated and deleted (“malware starts, but blocked later”). If no malicious untrusted code was able to run on the endpoint, 5 points were given to the products. This can be achieved via blocking the exploit in step 1, 2 or 3. If malicious untrusted code ran on the system (exploit shellcode, downloader code), but the final malware was not able start, 4 points were given to the product. This can be achieved via blocking the exploit in step 4 or 5. If both the exploit shellcode (or downloader code) and the final malware were able to run, 0 points were given to the product. If at any stage of the infection, a medium or high severity alert was generated (even if the infection was not prevented), 1 point was given to the product. The scope of the test was exploit prevention and not the detection of malware running on the system. It is not possible to determine what kind of commands have been executed or what information exfiltrated by the malware. Data exfiltration cannot be undone or remediated. It cannot be determined if the malware exited because the endpoint protection system blocked it, or if malware quit because it detected monitor processes, virtualization, or quit because it did not find its target environment. Checking for malware remediation can be too time-consuming and remediation scoring very difficult in an enterprise environment. For example, in recent years we have seen several alerts stating that the endpoint protection system blocked a URL/page/exploit/malware, but still the malware was able to execute and run on the system. On other occasions, the malware code was deleted from the disk by the endpoint protection system, but the malware process was still running, or some parts of the malware were detected and killed, while others were not. In a complex enterprise environment multiple network and endpoint products protect the endpoints. If one network product alerts that malicious binary has been downloaded to the endpoint, administrators have to cross-check the alerts with the endpoint protection alerts, or do a full forensics investigation to be sure that no malware was running on the endpoint. This process can be time and resource consuming, which is why it is better to block the exploit before the shellcode starts. Usually the exploit shellcode is only a simple stage to download and execute a new piece of malware, but in targeted attacks, the exploit shellcode can be more complex. We believe that such zero-tolerance scoring helps enterprises to choose the best products, using simple metrics. Manually verifying the successful remediation of the malware in an enterprise environment is a very resource-intensive process and costs a lot of money. In our view, malware needs to be blocked before it has a chance to run, and no exploit shellcode should be able to run. The scoring of the malware protection is straightforward, whenever the system got compromised by the malware, 0 point were given to the product, and whenever the malware was blocked or remediated, 1 point was given. The same scoring principle as described above has been applied for the false alarms test. In this test, 1000 non-malicious applications have been used to measure the ability of the products to distinguish clean from malicious files. Below are the results achieved by the next-gen products in the malware protection tests performed by AV-Comparatives. In general, the protection rates are quite high, and comparable with the scores reached by conventional business products. The scores in brackets shows the total detection rate if notifications in the web interface are counted as detections (i.e. cases where the system was compromised, but an alert was shown in the web interface). Below are the results achieved by the next-gen products in the exploit tests performed by MRG Effitas. Some of the products in this review may only provide logging and analysis of threats (useful for incident response), rather than actually protecting against them. In some cases, protection features are deactivated by default and have to be enabled and configured by the administrator before they can be used. Not all of the products covered here may be available as a trial version. In fact, a few “next-gen” vendors try to avoid having their products publicly tested or independently scrutinized. To this end, they do not sell their products to testing labs, and may even revoke a license key – without a refund – if they find out or suspect that it was bought anonymously by a testing lab.